I'd also really love to try this Crockpot Peanut Butter Cupcake recipe! I'm sticking with the stovetop, grill and crockpot! I used my oven for probably the first time in a month yesterday! I'm not a huge peanut butter fan... but that cake looks sooo good! Thanks for posting. I'm going to try and make it soon! The Crockpot Peanut Butter Cupcake recipe does look good! I definitely want to try it. I've tried the Brown Sugar Chicken before. Very tasty! 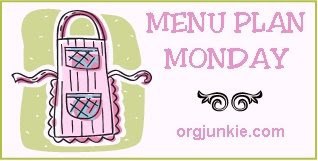 Yummy looking menu this week, I'll definitely be trying that brown sugar chicken! Maybe even tonight! !